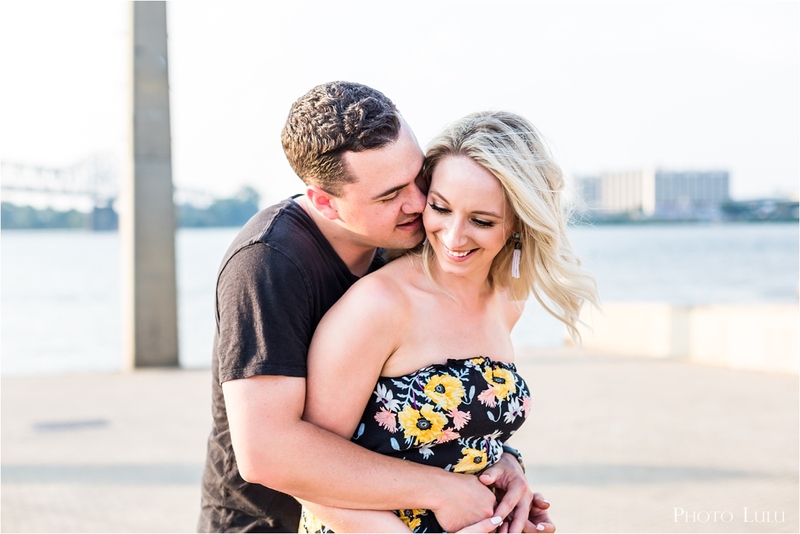 It was incredibly warm for this August engagement session at the waterfront in Louisville, Kentucky. However, Brooke and Alan were total troopers in the heat. The heat didn’t stand a chance keeping these two apart. When asked what first attracted her to Alan, Brooke responded with, “It was his gentle gentleman nature.” That nature was obvious throughout their session. Together, they are a couple with few words, but it is clear that they have a deep connection. I’m thrilled to curate their May wedding day, and hear them profess their love for one another in front of their closest family and friends.